Well yesterday was Good Friday, and tomorrow is Easter Sunday, which must mean its Easter! The schools are on their Easter holidays and there are Cadburys chocolate eggs everywhere. I love those things, but they don't love me. They are having a Sunday brunch for RO 22++ per person, children under 12 years half price and children under 6 years are free at the Musandam Cafe, things kick off at noon. 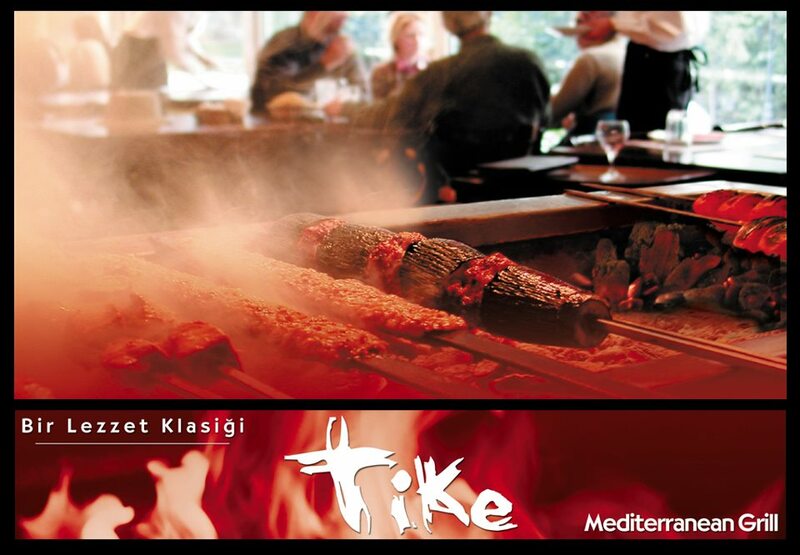 For those that might not have the time off in the day, the Hyatt are still offering their Turkish promotion, Tike. Buffet is priced at RO 17.000++ per person. For an extra RO 10.000 net receive unlimited De Bortoli wines. The Park Inn are offering a 15% discount on food at RBG between noon and 3pm. 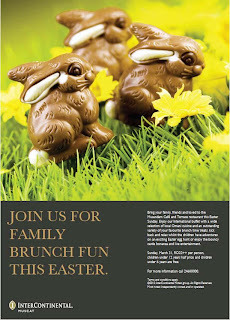 There is a traditional egg hunt on Easter Sunday, 10 am at the dhow area in Al Waha gardens. Then have a great time in the company of family and friends at Al Tanoor. 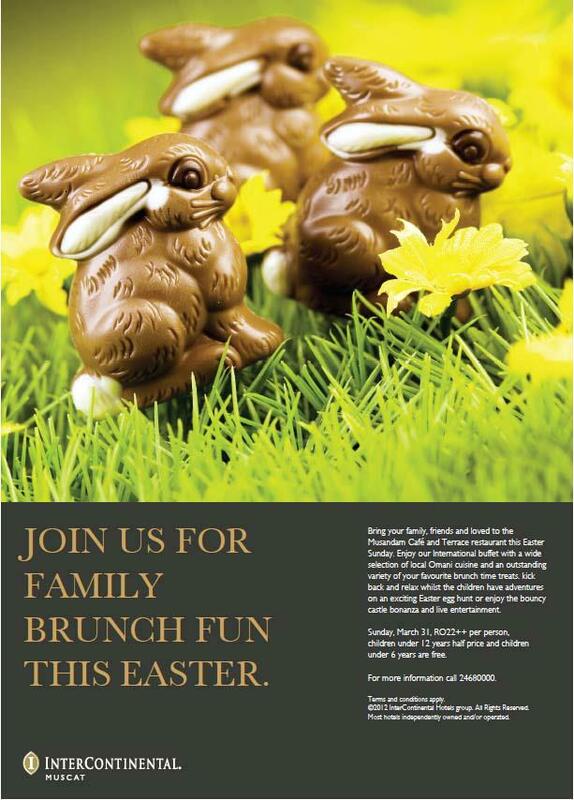 Indulge in an extravagant buffet of fresh salads, a great selection of choice meats and delectable seafood, made-to-order pasta and Easter must-haves of sweet eggs and luscious desserts. Children can enjoy a free entrance to Adventure Zone for those dining in Al Tanoor. If I might add, there's also an annual sunrise church service for Protestants at Ghala Church (next to TAISM) at 5:30am. There's usually a pretty decent breakfast buffet served afterwards as well. Happy Easter!